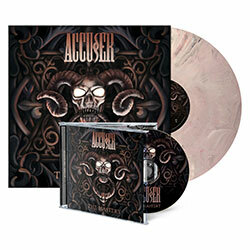 Accu§er has been in a constant songwriting mode during the past year. Combined with the energy and spontaneity from several live shows, the songs came to fruition very quickly. Together with long-time producer Martin Buchwalter, they made the record in the summer of 2017 at well-known Gernhart Studio (Destruction, Tankard and many more). For the band, The Mastery is the missing link between the technical virtuosity of their classic album Who Dominates Who and the more basic, heavy approach of Repent – making it their best album since their comeback in 2008. 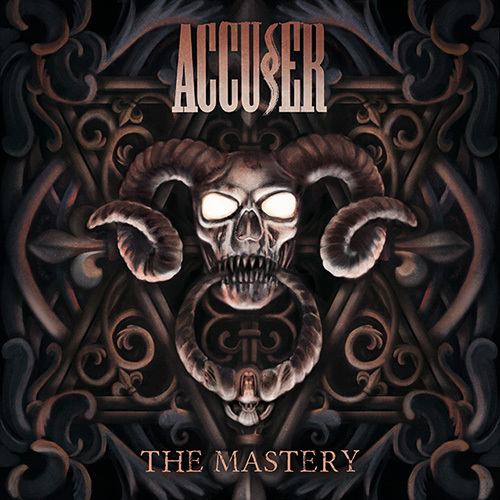 The Mastery contains all of the elements that define the Accu§er sound: heavy, chunky thrash riffs, aggressive vocals with a touch of melody – in addition to the high class guitar solos by youngster Dennis Rybakowski. When it comes to the lyrical side of their songs, Accu§er still raises their voices to denounce social grievances.